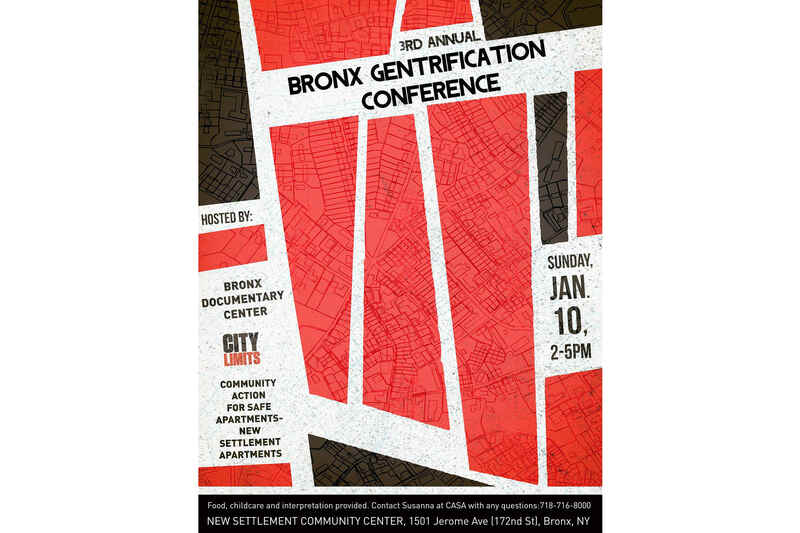 The goal of our 3rd annual Gentrification Conference is to educate, strategize and plan community resistance to gentrification. *Please note this event is NOT HELD at the BDC. In partnership with New Settlement Apartments Community Action for Safe Apartments (CASA) and City Limits. Food, childcare and interpretation provided. Vivian Vazquez is Nuyorican and grew up in the Longwood district of the South Bronx during the time of the fires. She left in 1980. After returning to the Bronx, she led projects for children, youth and senior center programs at Bronxworks for nine years. Vivian managed the development of educational youth development models in GED completion and college access programs throughout the city. Currently, she is the Director of Community-School Partnerships at the New Settlement Community Campus, a new K to 12 public school in the Bronx. She is a proud member of 52 People for Progress and Decade of Fire is her first film project. Vicki Been is responsible for leading the nation’s largest municipal housing agency and is charged with creating and implementing Mayor Bill de Blasio’s Five-Borough, Ten-Year Plan, a bold initiative to create or preserve 200,000 affordable homes and apartments over 10 years. Prior to her appointment as HPD Commissioner, Ms. Been was Director for NYU’s Furman Center for Real Estate and Urban Policy, a nationally renowned academic research center devoted to the public policy aspects of land use, real estate, and housing development. She also served as the Boxer Family Professor of Law at NYU School of Law and Affiliated Professor of Public Policy of the NYU Wagner Graduate School of Public Service. Creative Arts Center, Bronx Documentary Center and Bronx Art Space. In 2014 Ms.Santos had her first solo exhibition in Madrid, Spain entitled Window to the Bronx. The exhibition expanded a global dialogue about urban, Latino immigration. Ms. Santos depicts the everyday life, geographies, emotions and realities of people of color in Bronx, New York. She has exhibited work as featured artist in Curate NYC 2013, Bronx Art Space: Access to Art 2014, Bronx X Bronx 2014 and the Jerome Avenue Workers Project 2015. Santos is currently a member of the Bronx Photo League at the Bronx Documentary Center and curator for the Instagram feed Everyday Bronx. Fitzroy Christian is a tenant leader at CASA (Community Action for Safe Apartments) and Bronx Borough Coordinator for Housing Court Answers. He has been a resident of the southwest Bronx for the past 40 years and is a tenant member on the Board of Directors of Legal Services-NYC. Fitzroy is a graduate of the City College of the City University of New York and spent 30 years of his working life as a technology professional, first as a computer technician at the now defunct Digital Equipment Corp., and later as Supervisor of Instructional Technology and Academic Computing at Fordham University’s Graduate Center at Lincoln Center. He has been involved in most of CASA’s campaigns and is currently a member of the Bronx Coalition for Community Vision, which is developing its community-led vision for the rezoning and development of Jerome Avenue. Fitzroy also maintains an information and help desk at the Bronx Housing Court for Housing Court Answers, from where he assists pro se litigants in navigating the complex and confusing labyrinth that is New York City’s Housing Court system.